close by covert township park and Lake Michigan Beach. short drive to dimaggios pizza, 10 minutes to South Haven. 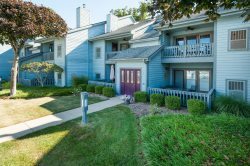 Beachcomber will be a favorite for the entire family at an economical price in Covert, Michigan, just a 10 minute drive north to South Haven. It's a quick 10 minute walk to the Covert Township Park featuring a small store and a beautiful expanse of Lake Michigan beach. Head back to make lunch for the gang so everyone can enjoy long lazy beach days. "Considered by some as one of the best hidden beaches in the US" according to Expedia Blog! Take in area activities from this great location. South Haven to the north is a short 10 minute drive away and has loads of activities including large beaches, a Maritime Museum with lots of ways to get out on the "Big Lake", and many festivals. Van Buren State Park with a beautiful beach, sand dunes, and walking trails is less than 5 minutes away. St. Joseph to the south is a 20 minute drive, and has a wonderful waterfront and great dining. Heading to bed will be comfortable for all with 4 bedrooms and sleeping in beds for 14. All new beds, mattresses and linens ensure a restful night of sleep to ready you for another great Southwestern Michigan Day! Summer rentals begin or end on Sunday. Bedroom 3. Upper Level. Queen. Master. Bathroom 2. Upper Level. Shower In Master Suite. Excellent service, great experience. Would definitely stay again! Great house for families. Very clean, spacious for our 3 families with little kids. Bunk room is connected to one bedroom. The 3 main bedrooms are spread out throughout the house, making the noise easier to control. Drive to any lake (small, quiet 2 min drive to camp ground beach or 10-15 min drive to South Haven South Beach). Easy to get to.